The International Architecture Showcase 2014 was curated as a series of residencies in partnership with Bow Arts Trust, ten visiting architects from Austria, Chile, Denmark, Estonia, Latvia, Nigeria, South Africa, Taiwan, Uganda, and Iran were paired with ten UK-based practices. These collaborative teams worked together over a two week period to propose new ideas for specific sites across Poplar. 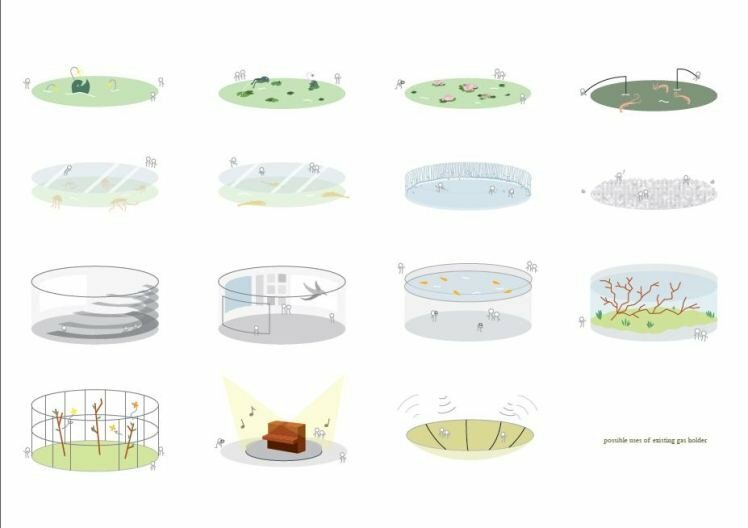 The project, which was designed to celebrate the new perspectives that international architects can bring to London, promoted collaboration and exchange by asking each team of architects to analyse a different theme – Culture, Housing, Nature, Town Centres and Transition. The teams explored how these issues were tackled in international contexts and how this might translate to solutions for four key sites across Poplar. Full documentation of the residency and outcomes is documented in the publication Possible Futures: 7 Days in Poplar. Below is a summary of the team's ideas. 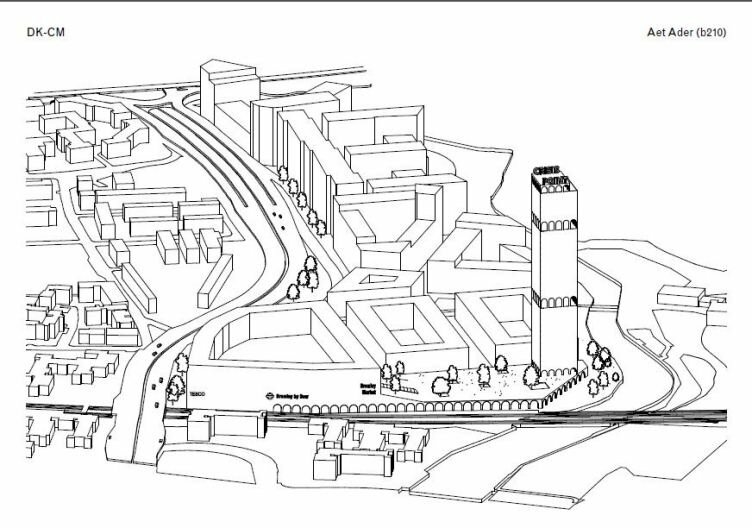 As London grapples with the growing housing crisis, DK:CM and b210 propose ‘Crisis Point’, a high-rise tower on the banks of Lee Navigation inspired by the iconic Centre Point of 1963. Working with the emerging East London typology of the residential tower, this new high-rise suggests an alternative way of living and working together that reflects co-operative models from around the world. Producing a new master plan, Karakusevic Carson Architects and BCVA investigated the potential that this site had for unlocking under-occupied housing across the borough and looked at how it may better connect with its surroundings. With eight percent of housing stock in Tower Hamlets under-occupied and 23,500 households waiting for social housing, this scheme proposes new ways that housing can be configured and plays with ideas of scale and densification in inner London. 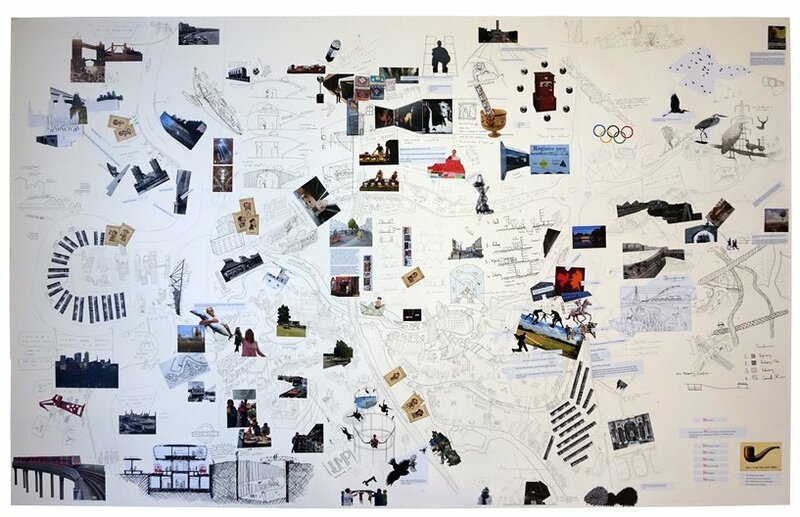 Working collaboratively to source ideas from around the world, Duggan Morris and ZAV Architects produced a large-scale mind map of ideas for the site at Bromley-by-Bow that investigated the history and culture of the idea to propose new possibilities for future developments. Comparing and contrasting the formal and informal natures of London and Lagos, Studio TILT and MOE + took inspiration from the spontaneity found in Lagos, overlaying this on their site in Bromley-by-Bow to create a framework for a self-organising model. This fusing of forms allows for invention, immediacy, interaction, perforation and unique identifiable places that allow London to grow as a ‘mega city’. Through on-the-ground investigation and discussions with members of the public and business-owners in the area The Decorators and ISSSresearch&architecture sought to discover the hidden narratives of the site, unlocking what was already there and exploring how development on this site is being played out. 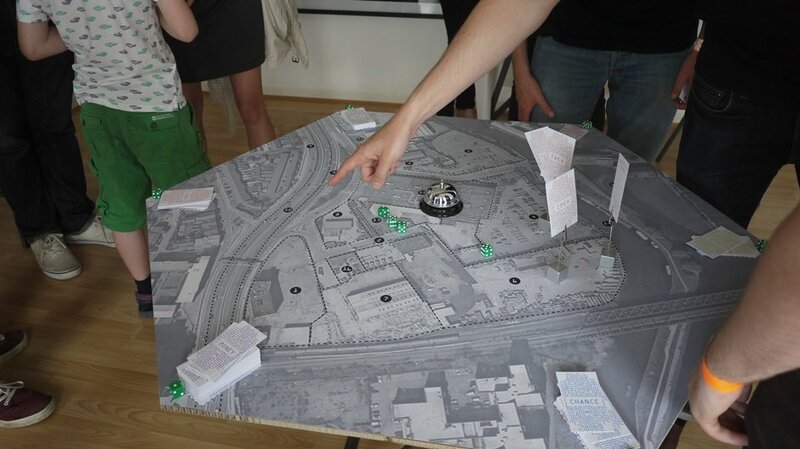 Through this exploration, a game was devised that allows participants to engage with and inform the multiple possible futures of Bromley-by-Bow. Working on the site of the decommissioned gas works at Leven Road, Friend & Company and Jonathan Nsubuga explored ways that this area could be ‘re-wilded’: building habitats for wildlife to thrive and encouraging traditional species such as eels and otters back into this area of London. The gasworks were suggested as spaces for culture and activation, while there were notions of swamping parts of the park in order to create these new habitats. 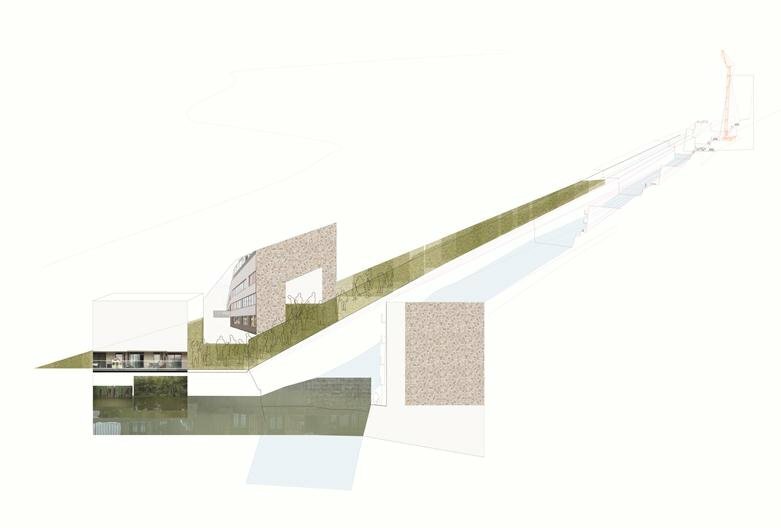 Through an analysis of the ‘usable’ areas along the Limehouse Cut, Muf and MoVe suggested ways that these spaces could be used for activation, linking the left and right banks of the canal and bringing informal spectacle to the banks of this waterway. This proposal would act as a new extended civic balcony for the cut and would make space for things that – at present – there seems to be no room for. 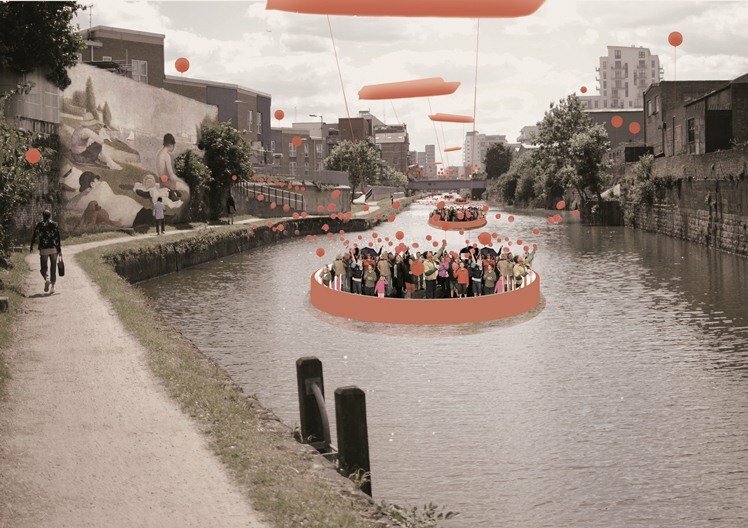 By identifying natural spaces along the Limehouse Cut that could allow for culture and exchange, Delvendahl Martin and GAISS Architects suggested that through temporary interventions and an annual festival, this waterway could be animated through activities and events. By designing platforms, stages and seating, people would be encouraged to again engage with the water through increased access to it. After analysing this industrial cluster, Sarah Wigglesworth Architects and Kane Yanagawa suggested the introduction of a Creative Fabrication Forum to encourage exchange between neighbouring industrial, residential, and artistic communities. By introducing an industrial arts zone that can make use of the existing trades and businesses on the site, it was suggested that this area could remain industrial, yet evolve to a new way of working. 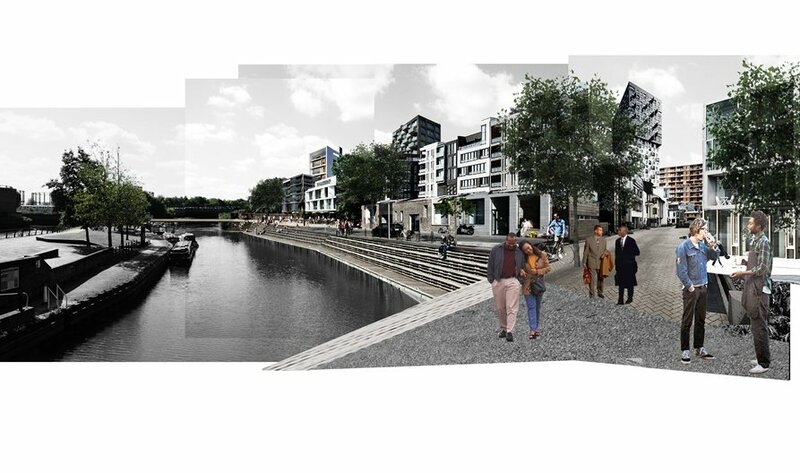 By investigating the way transition can be negotiated, Natasha Reid and Urbanworks Architecture and Urbanism suggested a new constitution that put the rights of those working on the site at the centre. A series of proposals from craft and making clusters to self-build initiatives were suggested to allow the site to remain industrial yet evolve.